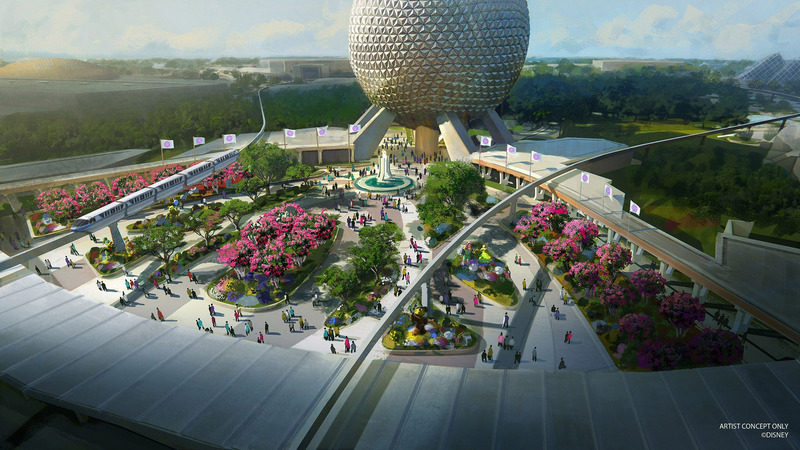 The current entrance of EPCOT is set to be completely transformed soon! The Leave A Legacy blocks will be taken out and replaced with planters and more open space. There is no word on whether these blocks will be moved to another section of the park or discarded. 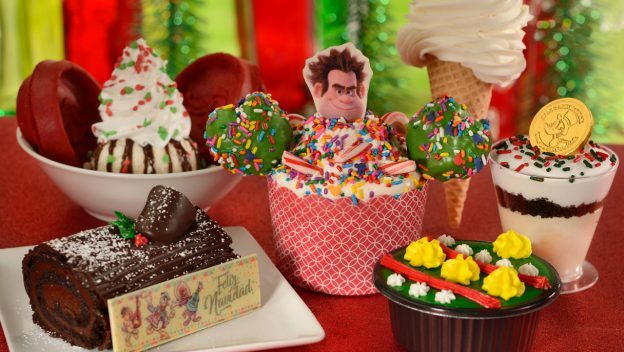 This year’s round of Mickey’s Very Merry Christmas Parties kicked off last night and Disney has finally revealed what we’ll be able to snack on an buy during the party! In years past, Disney has released this info well ahead of the parties. It seems that they’re breaking with tradition and waited until the first one to show the rest of us these goodies! The construction of the newest transportation option for Walt Disney World guests is going strong. 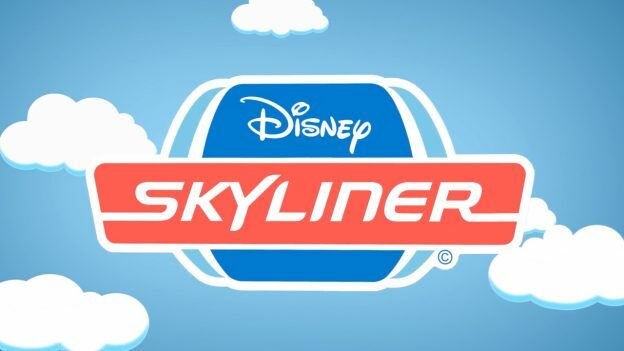 The Skyliner will give guests staying at Disney’s Art of Animation, Pop Century, Caribbean Beach or Riviera resorts with a unique way to get to Disney’s Hollywood Studios or Epcot. Disney has released a video with some highlights of the incoming Skyliner service. You can check out the video below. Disney is on a construction fever lately! They are currently in the process of adding a major new tower to Disney’s Coronado Springs Resort, building the brand new Disney Riviera Resort and now they just announced another Deluxe Villa DVC resort! Check out more details about the new resort after the jump. The Magic Kingdom at Walt Disney World is getting a highly anticipated roller coaster in Tomorrowland. Disney has released some details on the construction of the new attraction and how it will impact some of the other rides in the park. 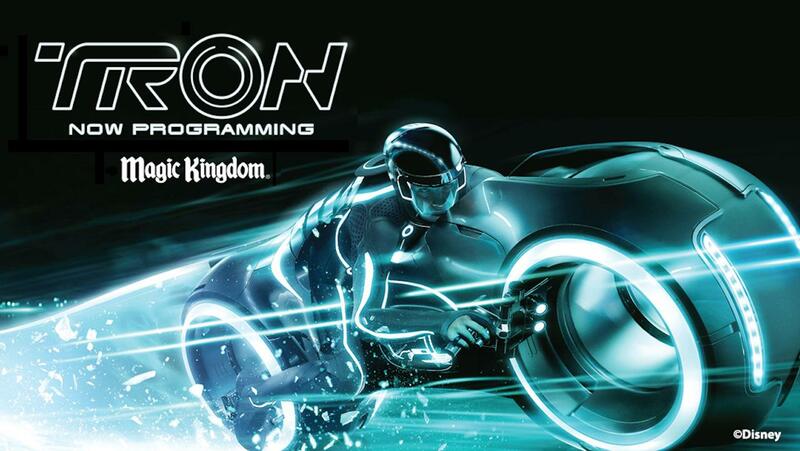 Tron will be built in an area that is currently outside of the park boundaries. Hit the jump for details on what to expect this year during the construction. Disney’s Magical Express is usually the first taste of Disney that most guests get upon arrival at Orlando International Airport. The bus transportation system from the airport to Disney resorts is extremely popular and definitely has an iconic look. 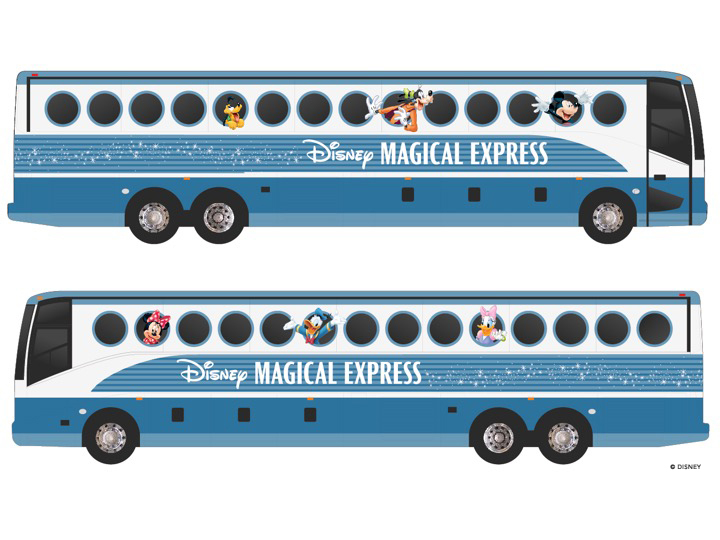 Disney has announced that they will be redesigning the buses to be similar to those used for the Disney Cruise Line. 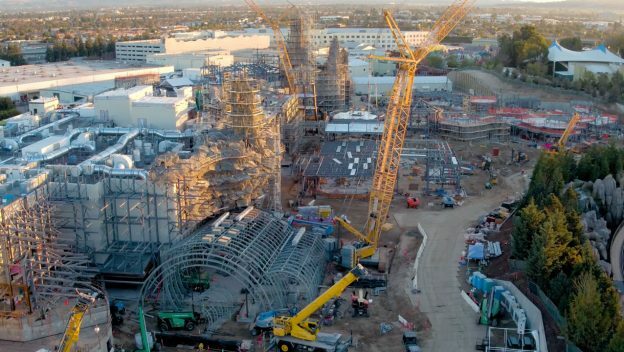 Construction of Star Wars Galaxy Edge is well underway at both Disneyland Resort and Hollywood Studios in Walt Disney World. We now have a pretty unique view of just how far along construction is coming along. Disney has released a video showing drone footage of Star Wars Land at Disneyland Resort. Hit the jump to check out the video! 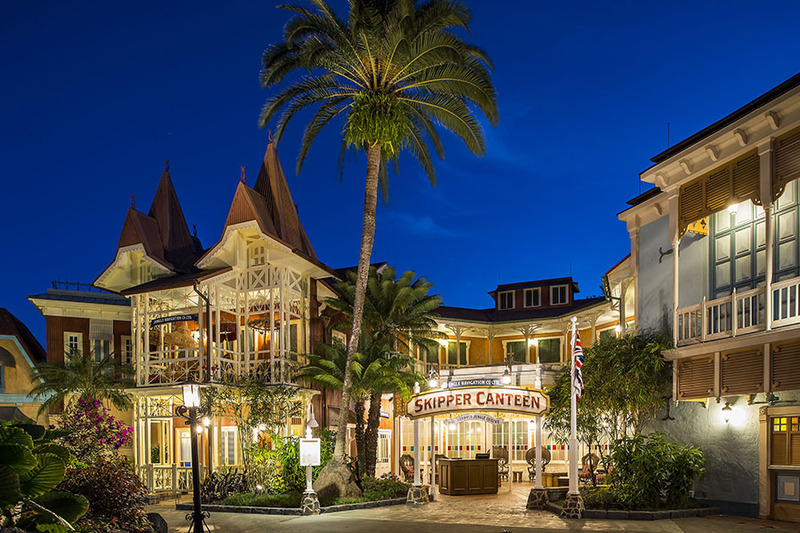 The Jungle Navigation Co. Ltd. Skipper Canteen is a table service restaurant located in the Magic Kingdom at Walt Disney World in Florida. The restaurant is themed after the popular and classic Disney attraction, The Jungle Cruise. Located in Adventureland it’s one of Disney World newest restaurants, but is it any good? Check out my full review after the jump. 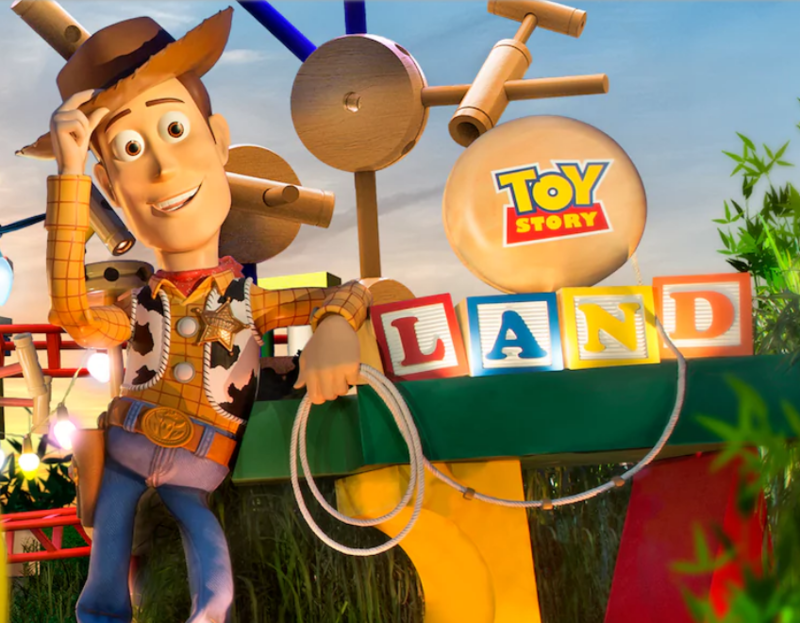 We finally know when guests will be able to shrink down to the size of a toy and head into Toy Story Land in Disney’s Hollywood Studios! Disney has announced that the new land will open on June 30, 2018. There were rumors that Toy Story Land would open in late May, I’m actually stopping by Disney in May but sadly I’ll have to wait for Toy Story Land! Hit the jump for more on the land and to see the first TV spot. 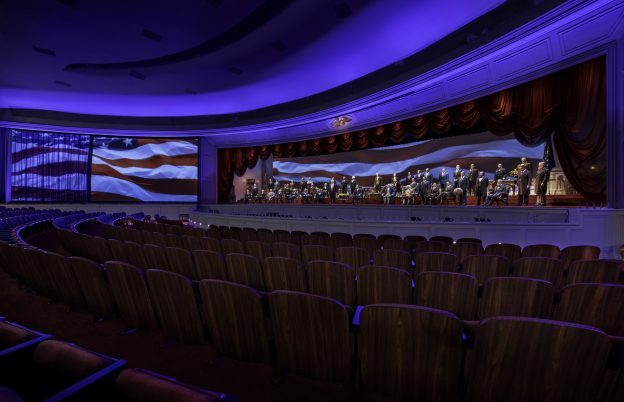 After several delays and a year-long wait, the Hall of Presidents in the Magic Kingdom at Walt Disney World will reopen on December 18th, 2017. Imagineers have added the animatronic of President Donald Trump. Hit the jump for images and a video of the new animatronic in action! Copyright 2015, This site is not affiliated with, endorsed by, or in any other way associated with The Walt Disney Company. For official information concerning Disney, visit Disney.com. Copyright © 2019 Donavan Goff. All rights reserved.